There is an argument to be made that an entire airport waiting area is basically already a bar, albeit one with crappy vending-machine drinks and people idly paging through used Michael Connolly tomes while a TV turned to CNN is playing at an awkwardly high volume. But in an effort to parse out the actual bars in your air and/or jetport that are worth adjusting your flight schedule to hit, we, well, flew to a lot of places this year, and reached out to our esteemed city editors for other recs. A small note: as much as possible, we opted for places that focus on drinks/beer before food. 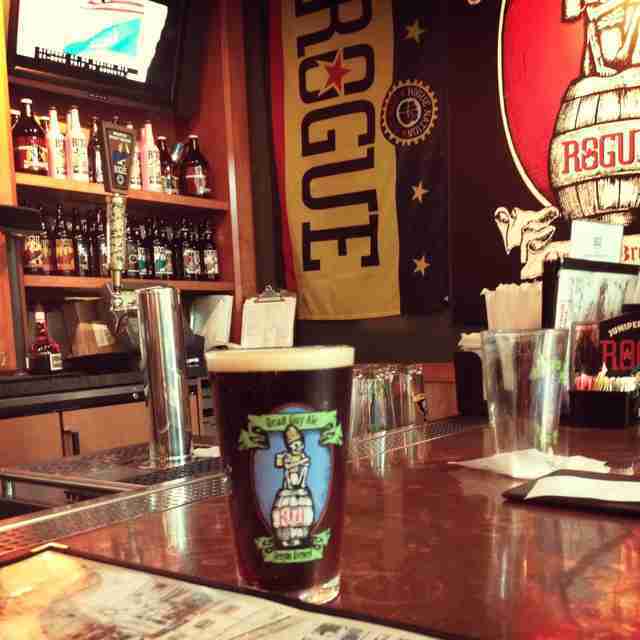 As you might expect, that left us with a high number of brewpubs and tap rooms. We’re not complaining. But if you want to, do it in our comment section below. The first time I went to this pub, I ordered the Pancho Verde Chile Cerveza, as I figured: New Mexico! Green chile! New Mexican green chile beer! And then, four minutes later, two girls sat down next to me. “All the tourists just get the green chile beer, but they have some really good local ones,” one of them assured the other. Needless to say, it’s true: the Rio Grande & Sierra Blanca Brewers have some genuinely interesting stuff -- like the Alien Wheat with curaçao bitter orange, sweet orange, and coriander spice, or the grapefruit- and pepper-hinted Rio Grande IPA. And just to be fair -- that green chile beer is pretty good too. 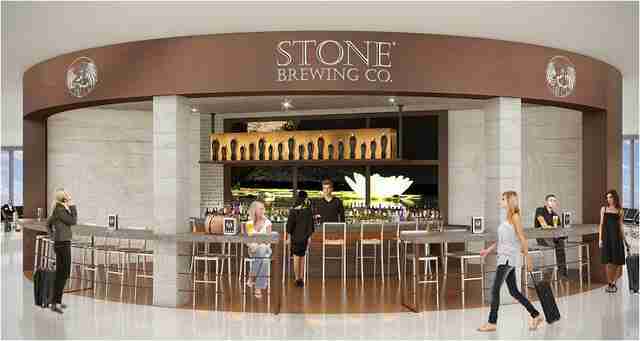 What could be yet another airport brewpub, gets a giant step up thanks to Good People -- a trailblazer in Alabama craft brewing -- staffing the spot with ONLY cicerones, which means that, despite flying out of a region still bereft of the influx of craft breweries that the rest of the country is enjoying, you’ll be getting one of the most knowledgable pre-flight drinking experiences possible. Because it’s the US Airways hub, Charlotte-Douglas saw a lot of me when I was living in New York and flying back home to the South, which I loved, because rocking chairs make me incredibly happy, which is very helpful in a chaotic, international airport setting. That a small airport bar is pouring some of the state’s best local beers, like brews from Charlotte’s Olde Mecklenburg and NoDa Brewing, that I can sneak away and drink in said rocking chairs is a better combination than some of my favorite dives can offer. What could’ve been just another brewpub outpost of a local brewery (granted, an incredibly well-respected, very good brewery) manages to be just a little bit better thanks to its decor. With windows, a long wooden bar, and the recognizable bicycle motif (lamps made of bicycle parts! 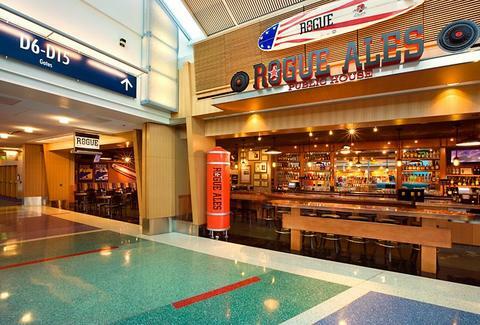 ), this almost manages to feel like an actual brewpub and not one in an airport. After a long day of traveling, that makes a huge difference. That and its damn reliable beers. A good airport bar lets you feel like you’re not going to crumble into a raging mess after your flight gets delayed for the seventh time. A great airport bar is one that can do that, while also letting you completely forget you’re even in an airport. Le Grand Comptoir manages that impressively, with an extensive wine list, categorized by flavor intensity and available to order in three differ milliliter pours -- plus by-the-bottle options if you really got stuck with a seventh flight delay and only five glasses of a “Bigger, Bolder, Unparalleled, Red” can help you survive. 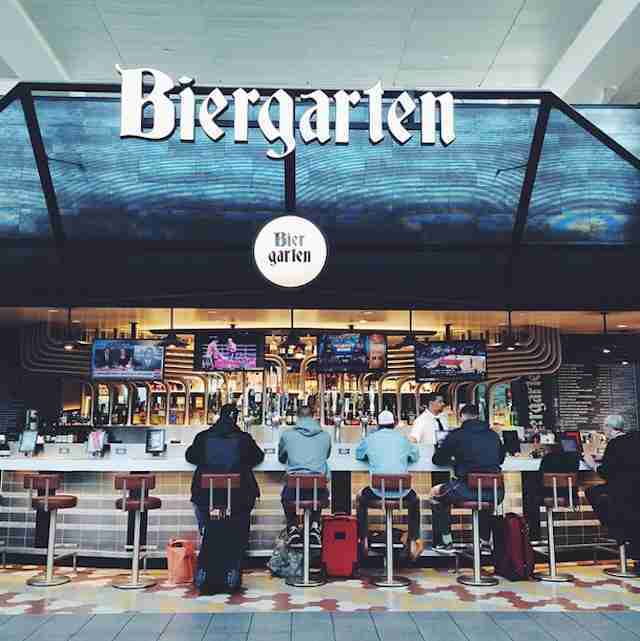 The other Queens airport also has an impressive beer garden-style bar, this one courtesy of Garrett Oliver, Brooklyn Brewery’s brewmaster. The 24-tap draft list has a duo of Oliver’s own beers (Sorachi Ace and the flagship Lager), a handful of other local beers, like the Bronx Pale Ale, and a solid lineup from heavy hitters like Allagash and Anchor. Once you stuff your face with Pat LaFrieda burgers and Neapolitan pizzas from Jim Lahey at Crust, it only makes sense to go to this wine bar, where they’re pouring over 100 wines by the glass. Well, 101 actually. The list is by Master Sommelier Roger Dagorn (one of only 190 in the world! ), and they use one of those fancy WineEmotion serving systems so you’re not watching a dude look through his wine fridge for your obscure Slovakian ice wine. Oh, and they do craft beers, if Slovakian ice wine (and 100 others) aren’t really your thing. Technically, there are two Schlafly spots here (one is in combination with The Pasta House restaurant), but both serve up a solid selection of the largest small brewer in St. Louis. Since it is the cold season, see if they’ve got the delicious Christmas Ale, or -- if it’s the morning -- the coffee stout. 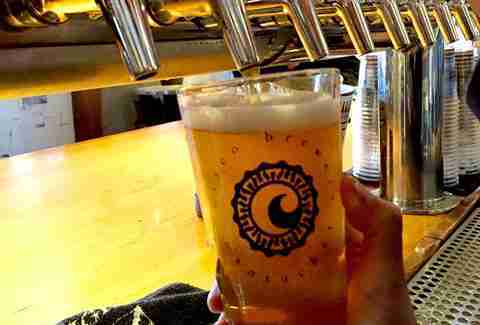 If there is one beer that makes me feel like I’ve returned to my R-dropping, North Face-clad homeland, it is a Whale’s Tale Pale Ale, the signature beer of Cisco Brewery of Nantucket. But what brings this place above the average in-your-airport version of a brewpub, is the fact that they make the place a venerable Nantucket-based party, by also serving cocktails using ACK-affiliated Triple Eight Distillery’s spirits, and Nantucket Vineyard vino. 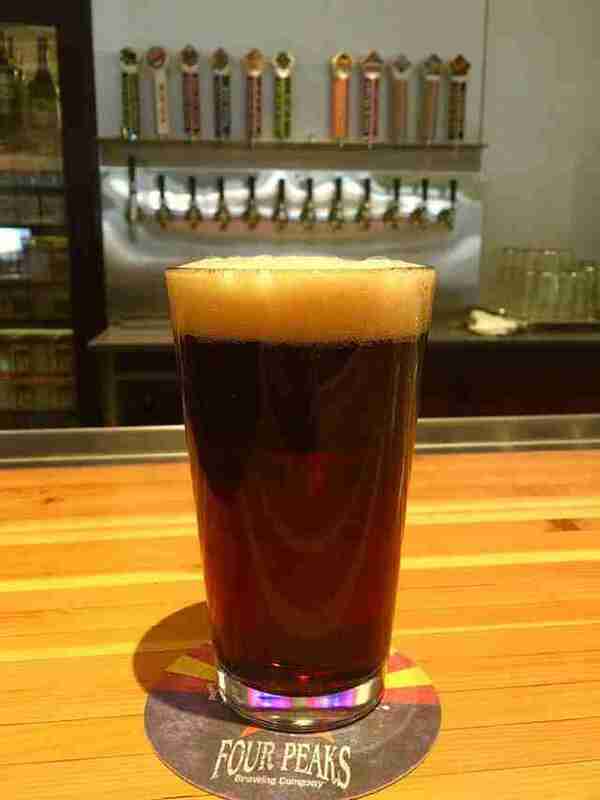 If your flight is delayed, get the Winter Shredder: its 8.8% ABV will soothe your frayed nerves. One of the new crop of actually pretty fantastic spots in an airport, Mill City could wind up on our best restaurant list as well (SPOILER ALERT), but either way, you could spend a perfectly solid layover just drinking its fantastic cocktails (get the Aviation with creme de violette and a steady pour of gin), local beers (Surly Bender! ), and even Michigan beers, if you want to be a heretic and get a Bell’s. 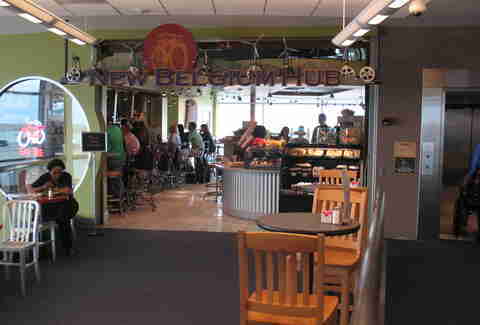 While NYC area airports, by nature of their size and traffic, have always had better food and drink options than most of America’s, the vast Port Authority revamp has made Newark Liberty a place I'd be willing to go hangout at for fun for the night. Of the new boozy choices (Oeno Wine Bar, from a Momofuku alum also gets a nod), head to Terminal C’s Proof Whiskey Bar. The guys who earned the title of Best Brewery in America last year are celebrating their two year anniversary pouring at Phoenix Sky Harbor. Grab their award-winning Kilt Lifter Scottish Ale, and, while you’re at it, the Italian beef sandwich (they pair well together, so it's just smart! ), and mourn that you’re leaving the arid land of fry bread. One of the Pacific Northwest’s original craft brewers, Pyramid opened a brewery in Berkeley in 1997, so this little outlet in the Southwest terminal by Gate 24 is ensured to have fresh seasonals (right now we’re looking at the Snow Cap winter warmer), its five signature year-round beers, plus a few choice picks from another local brewer, Anchor. If you know what’s good for you, you’ll opt for its famed Apricot Ale, which has a fruity aroma without being too sweet. This is the place for people who find themselves constantly asking the question, “Why doesn’t my bar open at 5am?” If you are not familiar with Rogue Ales, WHAT IS WRONG WITH YOU?, but also, you shan’t be scared -- Rogue makes spirits as well, so you can opt for moves like the Rogue Painkiller (double shot of Spruce gin with house Bloody mix), or just get one of 12 delicious Rogue brews on tap. Oh, and its food menu features a “Kobe Bleu Ball” sandwich, with its famed meatballs stuffed with Rogue Creamery bleu cheese. Might just be worth a connection through PDX. If you’re flying out of Salt Lake City, then there’s a decent chance you’ve been in Park City, and if you’ve been in Park City, then you better have visited High West, the world’s only ski-in distillery and the fifth-best craft distiller in the airport. But if you didn’t get your fill (you didn’t), then you can booze before your plane takes off, and few things make a flight smoother than an inch of its sweet, smoky, spicy Campfire Whiskey. SD’s airport underwent a much needed facelift a couple of years ago, and this is one of the grand results. The local brewery’s gastropub has fantastic food (grilled chimichurri steak sandwiches! ), famed beers (go for the IPA sampler), 22-ouncers you can take on the flight, and quality cocktails using two levels above well boozes, like a Strawberry Whiskey Smash with Bulleit bourbon, fresh lemon, strawberry, and mint. EVERYONE IN TERMINAL 2, RELAX. Though 2 gets all the credit for having the best food selection, near gate 85 in Terminal 3 there is a quite under-the-radar wine bar that is actually maybe the best. Do you want local beer? It has an all-Cali lineup of 10 beers on draft (Heretic Shallow Grave, Firestone Pale 31, Anchor Steam), plus more Cali-exclusive beers and ciders by the bottle. The wines are Cali-centric as well, and you can do flights for as cheap as $10. And if that isn’t enough, it has a slider menu, so you can eat a BLT, and pulled pork, and grilled cheese sliders until someone finally lets you on a plane. While it’s based out of Maine, Shipyard Brew Pub has become a New England stalwart and one of the region’s more prolific breweries. If you’re flying in the fall, wait out your layover with a Pumpkinhead. In the vast, overspiced waters of orange beers, Shipyard makes one of our favorites: balanced, not too sweet, and just autumnal enough to help you appreciate Rhode Island’s weather… before it gets too bitter to return for another six months. 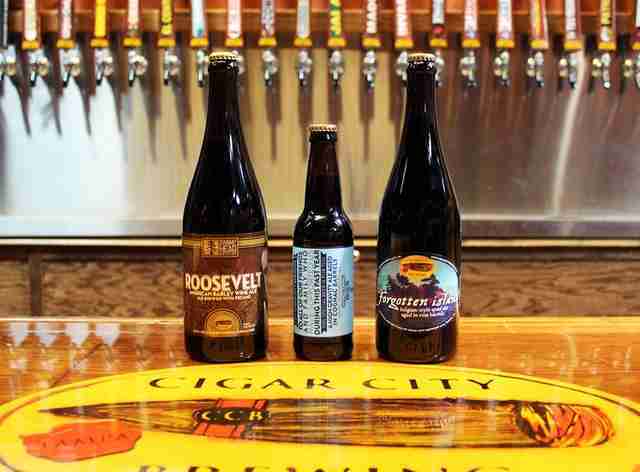 If there was ever a reason to visit the Tampa airport, other than because maybe your cousins live in St. Pete and you need to go to a wedding, it’s to hit up the Cigar City Brewpub. One of the best brewers in the country, this bar is like a diamond in the rough times 10 multiplied by whatever percent its Frivolous Diversions sour ale is. Go to Airside C (they call them airsides in Tampa!) and drink all the beers you can reasonably handle (the Florida Cracker is a good place to start if you don’t want to kick off with an IPA), and then go see those cousins get married! 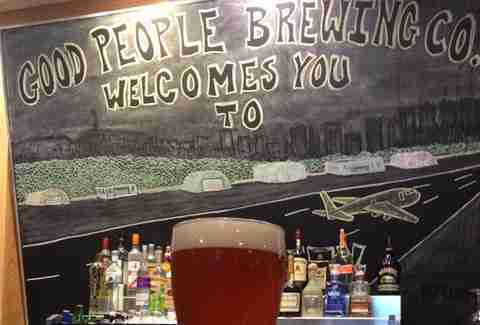 Kevin Alexander is Thrillist's Executive Editor and wants to live in the MPLS airport. Follow his journey to rename everything airsides @KAlexander03. Liz Childers is Thrillist's Cities Director and can probably currently be found with a walking beer in the rocking chairs in Charlotte. Follow her @lizchilders1.